This is probably one of the most famous ways. When you have enough visitors on your blog you can earn money with Google ads. Google Adsense is very easy to activate. Google Adsense is one way to earn money with a blog but not it’s not my favorite. You can contact the companies directly and ask how much they are willing to pay you if you show their ads on your website. In affiliate marketing, you place companies’ links or ads to your website. But you don’t get the commission when someone clicks the ad. You get the commission when someone buys the product. You can, for example, put the link to Amazon. Then someone clicks the link and goes to Amazon’s website. Then he/she buys the product and you get the commission of the product. There are many good sides in affiliate marketing. For example, when you take someone to Amazon you can earn commission despite what product the visitor buys. 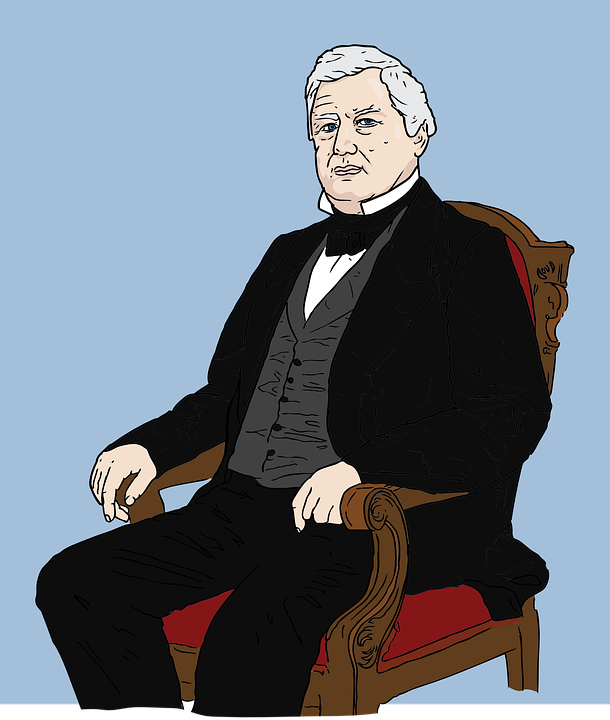 Even if your product is a book but the visitor ends up buying clothes, you will get the commission of those clothes. Many programs teach on the Internet to earn money through affiliate marketing. In my opinion, Wealthy Affiliate provides the best training and the community to learn to become a successful affiliate marketer. One of the most profitable ways to earn money with a blog is to sell your own products. Your products can be T-shirts, ebooks, online courses or anything you can imagine. The good side when you are selling your own products is that you will get 100% of the money while in affiliate marketing or selling ads you only get some commission. Still, the truth is that selling your own products usually requires more work than selling products from Amazon. Amazon has already built the trust with the people. But when you are selling your own products you first need to gain trust in the eyes of your customers. Creating your own products can still definitely be worth it as you are persistent with the marketing. As your blog becomes more and more popular you can find sponsors. Companies related to your niche become interested in marketing their products and services in your blog. Or for example, if you have a travel blog, the travel agency may give you a free trip if you write a review of their service and leave ads to your blog. In order to gain this kind of sponsorship, you need to convince the company that your blog has enough traffic and it would be profitable for them to sponsor your blog. Many times private sponsors don’t just appear but you need to be active yourself in order to them. Many people don’t think this possibility at first. But as you write a blog and gain the expertise in your niche you can have new and interesting opportunities. 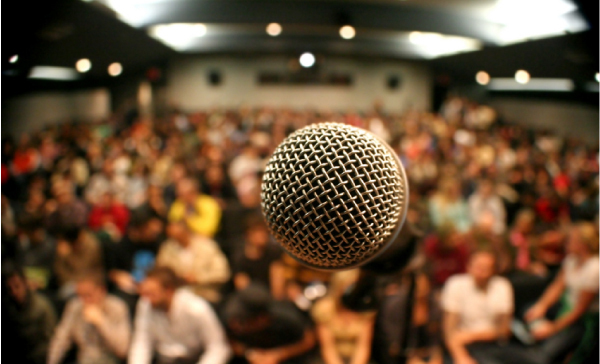 You can use your blog as a merit and market yourself to become a speaker at the conferences and different kind of events of your niche. I know that many bloggers will never become public speakers but I wanted to share this possibility to open eyes to see how many possibilities there really are as a blogger. Remember that when you are writing a blog, success doesn’t come overnight. It neither comes automatically. Sow, sow and sow. Sow little seeds of success in your blog and over the time course you can reap the harvest. Usually, you will also need to have training on how to market your blog and how to earn money with your blog faster. In my opinion, the best way to start earning money with a blog is Wealthy Affiliate. They provide a thorough training and the community of enthusiastic people who encourage you to push forward. That’s why today I am going to give you simple instructions how to do it easily. But first I want to give you 2 reasons why using videos in the blog can be extremely useful. Usually, the content in the blogs is mainly images and text. But if you use in addition the voice and the video the message can be understood much better. I made, for example, the blog post on how to get Twitter followers fast. I embedded the video instructions also to help the reader to understand the process more. Google wants to provide the most helpful and the valuable results for the searchers. As mentioned above, videos can make your content more informative and more valuable which help to rank better. The best is if you can leverage your own videos and that way get even more visibility to your Youtube channel. But if you don’t have own videos you can also leverage other people’s videos to make your content better. See, for example, here how I embedded other people’s Hootsuite tutorials to help my readers to use Hootsuite better. Now let’s go through step by step how to embed videos from Youtube to a WordPress blog. I am going to embed a video to this blog post to show you an example. As you can see in the image above the next thing you need to do is to click share. It will open you the following box (image below). DON’T COPY THE LINK THERE if you want to embed your video. After clicking, “Embed” you will see the code that you need to copy. By clicking, “SHOW MORE” you can go to adjust the size of the video. But you don’t need to care about it if you want to use the default size. So then you open your blog post where you want to embed your video. In the text editor, you have two have views “Visual” and “Text” views. You can change it on the top right. So, open the “Text” view to see the code of your text (see the image below). Then scroll down where you want to paste your video and copy the code there. As you can see I paste the code of my video in this blog post to embed the video. Just paste the code that you copied in Youtube. Then you can change back to “Visual” view and see that your own video is copied successfully. Video Instructions on How to Embed a Youtube Video in a WordPress Blog? Here you can see the video that I made to help you to embed a Youtube video in your WordPress blog. Embedding the video in a WordPress blog is quite fast and easy. It takes probably 1-2 minutes once you have learned the process. 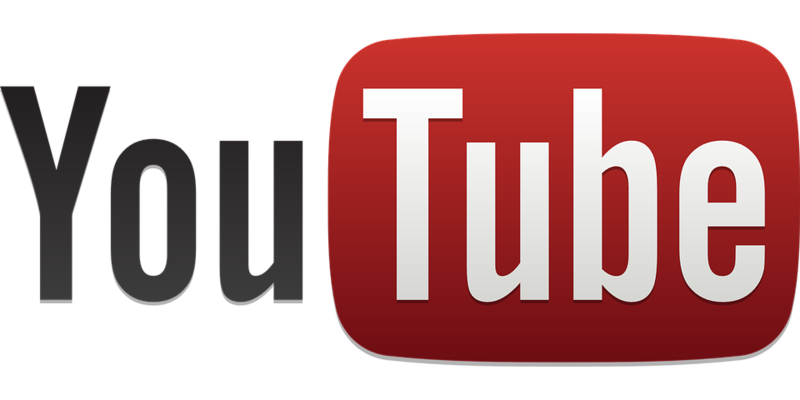 I hope this blog post helps you to embed Youtube videos in your blog successfully. If you have any questions, please, leave it below and I am more than happy to help you out. 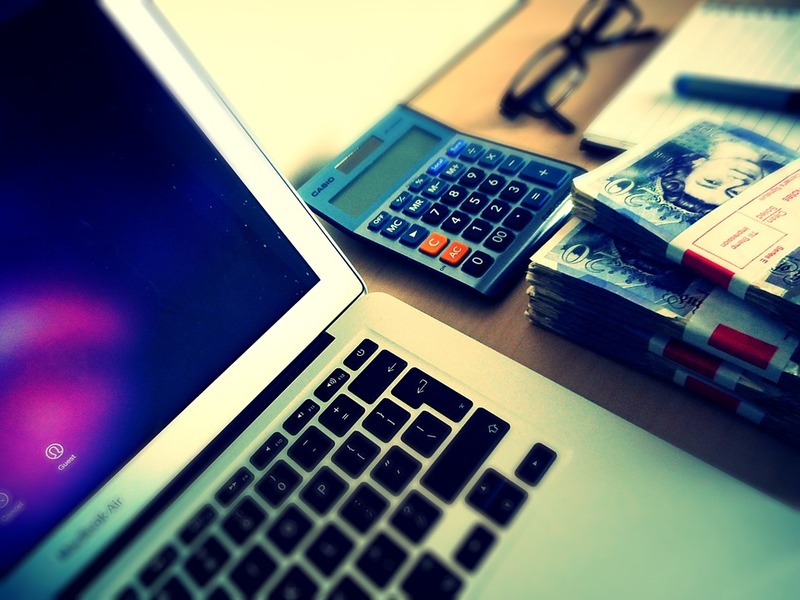 -> Do you want to monetize your blog? Start today in Wealthy Affiliate! What is The Best Social Media Marketing Tool? So many social medias. So many tools. Which tool is the best? There are so many social media marketing tools there that for the beginner it can feel overwhelming. When you search from the Google “What is The Best Social Media Marketing Tool?” No one seems to give you the clear answer. They give you so many different tools, then give 50 words description about the tool and then leave you alone. Very helpful? Not really. I have once started and been the beginner so I know how it feels to be looking for the best tool without a clear answer. All of these tools are good and I use them almost daily (Buffer not anymore because Hootsuite is better). I already wrote how to get Twitter followers fast by using Tweepi and how to unfollow people on Twitter by using Manageflitter. Both of those tools are great social media marketing tools but they are not the best. In my opinion, Hootsuite is the best. Also, the famous online entrepreneur Marc Guberti likes Hootsuite the most. There are Twitter Tools. There are Facebook tools. There are Google+ tools. But Hootsuite is the social media tool where you can use all of them at the same time. You can connect all your social medias to Hootsuite at the same time. Once you want to publish a new post/tweet/link in your social medias you can publish in all of them with only one click. I love bulkscheduler! It was the main reason that I decided to buy the premium account in Hootsuite. With the bulkscheduler, you are able to publish 350 posts with only one click (okay, maybe a few clicks more but still). Actually, you can schedule 350 to all of your social media sites with only one click. And once you have prepared your social media posts you can use them over and over again without using the time for writing and publishing them again. Hootsuite makes the work for you. You Can Master the Best Tool! I remember when I first started to use Hootsuite. It didn’t feel very simple tool. So many icons and options everywhere. “How could I use this?? ?” was my initial thought. Then I abandoned Hootsuite for quite a while until I found it again. Buffer seemed simpler so I decided to use it. But it seemed to take too much time. Not very much but still I was thinking that there must a better way to automate tweets. I kept on looking and after all, I found Hootsuite. I watched some Hootsuite tutorials from Youtube and I searched Google for the answers. Then I found out that Hootsuite isn’t so complicated after all. I just needed to watch some videos to understand how it works. So don’t worry if it feels too scary in the beginning. Just use some time for it and you will master it. Then after a little while, it feels like the simplest tool in the world. Hootsuite Bulkscheduler – The Power in Your Hands! Hootsuite bulkscheduler was the main reason that I decided to buy the premium version in Hootsuite. That tool is totally awesome and powerful! Imagine how much time it would take to write your tweets and posts over and over again. With the Bulkscheduler, you need to write your posts only once and then you can publish them over and over again with one click. I started to have the same amount in one hour that I before had in the whole day. See how the impressions literally JUMPED! Using Bulkscheduler – Prepare it and… BANG! When you start using the Bulkscheduler you need to use a little bit of time to write and arrange your tweets. First, it takes some time but then the effort will pay back itself VERY FAST. Here is a great tutorial on Youtube that helped me when I started using Bulkscheduler for the first time. As the woman explains in the video, you can arrange your tweets using Google Spreadsheet. Then download the file in CSV. format and submit it to Hootsuite. Conclusion – What is The Best Social Media Marketing Tool? There are many good tools out there and I recommend to use many of them. I use personally Tweepi, Manageflitter, and Hootsuite. But if I should need to choose only one social media marketing tool it would be Hootsuite. 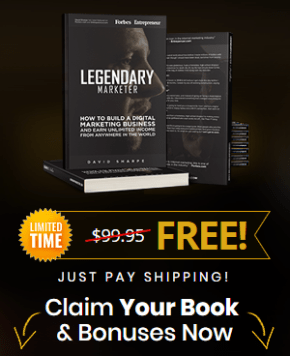 Boost Your Social Media Marketing for Free! Start in Hootsuite Today! If you need any help with using Hootsuite, you can drop a comment below. I am more than willing to help you! Using social media is absolutely beneficial but if you really want to be successful online you need to get ranked in Google. To get ranked in Google you need to use proper tools and training. I know what it takes to get ranked and if you want to learn it too I recommend you to start learning for free in Wealthy Affiliate. It provides you the comprehensive training and tools on how to drive traffic from all the search engines. In addition, I will provide my personal 1-on-1 coaching for you! Start driving traffic from Google. Get the proper training and tools from Wealthy Affiliate! 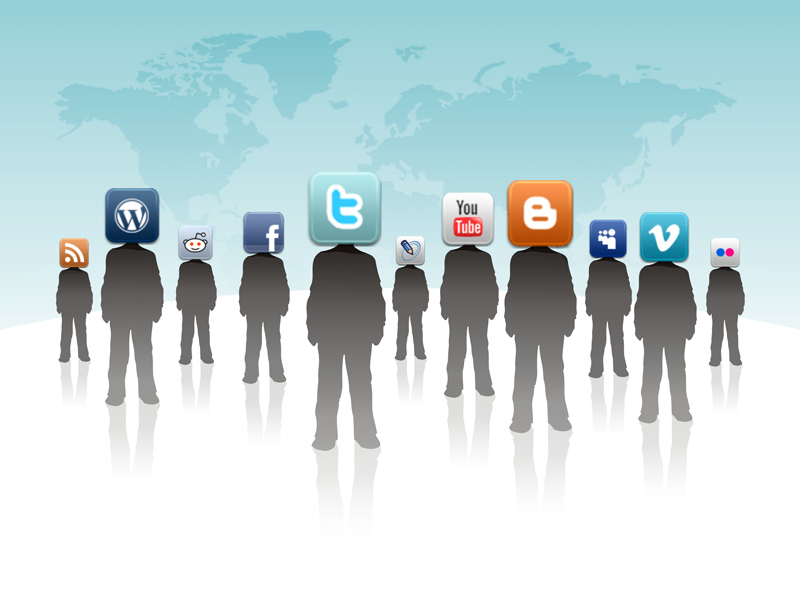 What is The Best Social Media Marketing Tool in your opinion? Update!!! 26.12.2016: Today I published a review about MassPlanner which is also an awesome social media tool. I would recommend to try both MassPlanner and Hootsuite. There is a free trial in both of them so you can try them for free. I have bought the premium version of both and I can honestly say that they are worth it. They are both very cheap and you can get a great value for your money. => Get a free trial for MassPlanner here! What is the Best Domain Hosting Site? Do You Want the Straight Answer? The best domain hosting site is Wealthy Affiliate. Okay, I’m going to explain to you why Wealthy Affiliate is superior to other services. For most of the people, the price is one of the most decisive factors when buying any product. In Wealthy Affiliate, the yearly premium membership is $349/year = $29/month. With the yearly membership, one can get hosting for hosting services for 25 sites. Let’s see how much the same service costs in the other websites. One big provider is WPEngine which has over 45,000 customers worldwide. Here is the image how much their hosting costs. 25 websites cost $249/month which makes almost $3,000/year! The price is almost ten times higher than in Wealthy Affiliate. Probably you don’t have 25 websites and you are just looking for hosting for your blog or Internet store. If you search the Internet you can find several services that provide hosting for less than $29/month. GoDaddy, GoDaddy, Hostgator or Webs.com for just to mention some of these low-quality services. There are several reasons why Wealthy Affiliate beats cheap services like 6-0. The ability to MOVE your websites easily from one domain to another IN SECONDS. Those reasons are only talking about the quality of the service. When you get your domain hosting from most of the providers you will get ONLY THE DOMAIN HOSTING but nothing more. The things are quite different in Wealthy Affiliate. There are several “bonuses” that make WA superior to the other providers and here are listed 10 of them. The list is quite convincing. Let’s say that you end up buying the domain hosting from GoDaddy. The price for 1 website is $6,99/month. Then, for any reason, you want to have another website and you need hosting for that. If you continue in GoDaddy the price goes up and you pay already $11.99/month. For the third website, you start to pay $20.99/month. Just compare that in Wealthy Affiliate you pay $29/month for 25 websites and you get the access to all the tools and services mentioned before. In my honest opinion, Wealthy Affiliate is the winner not only because of their magnificent domain hosting but for their training, community, support, and motivation. GoDaddy or WPEngine don’t teach you how to earn money online but Wealthy Affiliate teaches you everything right from the start and provides a very motivating and encouraging community. I tend to think that I mainly pay for their training and all of the other things come as a wonderful extra. If you need more perspective on domain hosting and comparisons I recommend reading this article. The best domain hosting site is Wealthy Affiliate. There are other cheaper services that can work somehow but if you are serious about earning money online Wealthy Affiliate beats other services easily. I have never had any kind of technical problems with WA so I can say from the experience that their service really works. PS.Are you still thinking if you should get the own domain name and where to get it? Check my instructions on how to get a cheap and high-quality domain name. I hope you find this article useful and it helps you decide where to get the domain hosting for your websites. What domain hosting sites have you used? What are your experiences? Drop a comment below. Is Google Adsense Any Good? Let Me Be Honest. Today I’m going to give you an answer to those questions and tell what one online millionaire talks about the subject. 3.You get paid some pennies/cents when the visitor clicks the ad on your website. So the process is quite simple. Notice that you don’t get paid for everyone who sees the ads but for everyone who clicks the ad. Then you can see your revenue and statistic from Google Adsense. 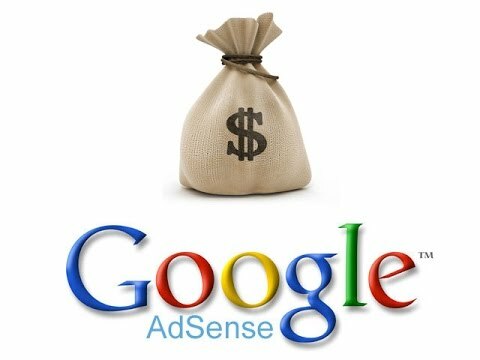 Is Google Adsense Easy Money? No. In the beginning of my online marketing career, I thought that it would be easy to earn some little cash just to put some Google ads on my site. I was wrong. I had a blog with about 1,000/monthly visitors (which is not very much but still something). I activated Google ads on my site just to see how well it works. Google ads were on my site for almost two months and guess how much I earned. The moral of the story is that if you are looking for a quick cash, Google Adsense is not the best. You will need a lot of traffic to your website before you can start earning any decent money with Google Adsense. Look at the image below (click the image to make it large). Don’t let Google take the money that belongs to you. As we learned before you get paid when someone clicks on the ad and ends up on the advertiser’s website. What if you could contact the advertiser and say that he can place his ad to your website without Google? You could easily boost your income because you don’t have the pay Google anymore! The advertiser and you are happy. Win-win. Don’t be afraid to contact the advertiser straight because he will very probably be happy if someone is willing to advertise his products. Do People Like Random Ads? The reality is that we have become quite “immune” to the ads on the Internet. People don’t click them too much. Google ads can work sometimes but actually more targeted ads are better. When you activate Google ads on your website, you can’t fully control what people see. But when you contact the advertiser straight you can decide what kind of ads you want to show. My suggestion for you is to put ads that are very relevant to your niche. If your niche is “women’s kettlebell training” put the kettlebell ads. If your niche is about “how to play piano”, put ads of the piano courses. With Google ads, you can only earn pennies per ad but with affiliate marketing, you can earn $100, $200 or $1,400 with one single ad. In affiliate marketing, you get the certain commission of the products that people end up buying. It’s very powerful way to earn money. Compare earning $0,05 per Google ad vs. $100 of promoting the product you can honestly recommend and you even use yourself. Thousands of companies have affiliate programs that you can join. Most of the time you just need to fill out the form and to become an affiliate marketer. You don’t even need to think how to market your website for the “advertiser” but you become accepted almost automatically. Conclusion – Is Google Adsense any good? You can earn some money with it. I know people who have earned hundreds of dollars with Google Adsense. But in my opinion, there are better and more profitable ways to earn money online like affiliate marketing. In Youtube, Google Adsense is a great resource to earn money but in your own website, you don’t need it. Just contact the advertiser and you will earn bigger commissions ($1,4000/sale). Here is Pat Flynn’s video Passive Income Streams 101 where he explains his #1 Google Adsense Tip (starts at 4:14). Do you have experiences with Google Adsense? What do you think about it? Learn how to earn more money online in Wealthy Affiliate. Learn to provide quality content on your blog. Today I am going to give you 5 practical tips how you can write for your blogs to increase your traffic, engagement, search engine rankings and revenue. This will help your reader to read your texts. Give them the feeling that there are just two persons, You and the reader. One successful online entrepreneur Jermaine Griggs gives piano courses on the Internet. He teaches tens of thousands of people from all around the world. Still he can give the personal feeling in his blog posts and video training. He says for example, “Lay back. Relax. Just you and me.” and then comes the piano training. Is not a coincidence that this guy is a millionaire. He is teaching a huge amount of people but still he gives the feeling that there is only he and the student. Don’t think that you are writing to 1,000 people but think that you are writing to only one person. It will make your blog more personal. If you want to earn money with your blog you must be helping people and providing them something valuable. Some beginners in affiliate marketing make the mistake of always trying to sell something without providing any important value. One useful trick to help your mind to create more useful ideas is to think how would you help your friend. How would you write to your best friend? Would you sell him/her all the time and try to push all your products in front of him? If you would do that I may ask, how long are you waiting for your friendship to last? Everyone loves friendly people. People love it when someone helps and does something for them. We love it when someone gives valuable answers for our questions. If someone comes and tells me the answers for that kind of questions I’m more than willing to hear. I am not willing to hear invaluable answers. And neither are other people. So be sure that when you are providing answers that they really answer the questions and give something that isn’t so obvious. Of course, sometimes “the obvious answers” are good to say out loud because we humans tend to forget the important things. Most of the motivational speeches are just repeating “the obvious things” that people tend to forget in the middle of their busy lives. This may sound obvious but still some people tend to forget this one. If your blog is about dog training, don’t talk about your journey in Mexico. Okay, you can tell a story about your journey if you can relate it somehow to your actual topic which is dog training. If you can tell captivating stories, they are always nice! But don’t talk about the subjects that are not related to your website. For example, my blog is about earning money online and everything related to that topic. I will not write here the articles about language learning or the gym even though they are my other interests. My audience would be bored. Instead, I concentrate on the topics that are relevant to “make money online” -subject. Have you ever went to the blog post where the introduction seems to last too long and you just get bored and click for the next post. I’ve experienced it many times. Probably the writers are trying to build the momentum but many times the person on the Internet is just finding for the quick answers and you have 10 seconds to convince that you have what he/she is looking for. Don’t write introductions of 300 words! Go straight to your point. I hope that these tips will help you to become a better blogger and the writer. I have learned a lot about blogging from Wealthy Affiliate. It also teaches you how to monetize your blogs and websites. You will get 10 Free video lessons on how to get started and understand the process of earning money with your blog. –> Monetize your blog. Start in Wealthy Affiliate Today! Are Backlinks Bad? – This May Surprise You! Are Backlinks Bad or Good? Are backlinks bad? Are backlinks vital for rankings? What should I do with the backlinks? Those are the questions that many people are asking when they want to get ranked in the search engines and to drive traffic to their websites. 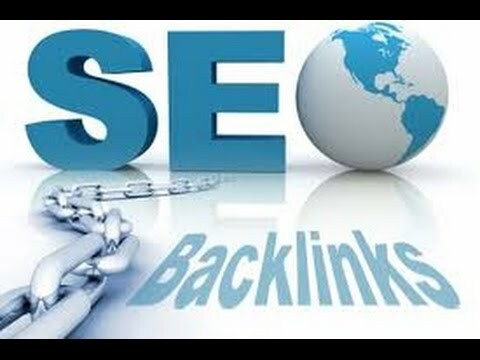 The founder of Wealthy Affiliate, online millionaire, Kyle wrote recently and article about the backlinks and what he thinks about using backlinks. Kyle mentions the Google penguin that happened in 2014 in Google. Before that update, the backlinks used to be useful and many people tried to get ranks by using different tricks with the backlinks. Penguin update in 2014 was devastating for those who were concentrating on the backlinks. In Kyle’s word the update literally WIPED many entire businesses. But the update was great for some people who were not concentrating on the backlinks but providing the quality content. Kyle says that he, for example, experienced DOUBLE the traffic overnight because he wasn’t concentrating on the backlinks but on the more important things. Kyle states that the backlinks won’t help you to get rank any better. It would be the waste of time to use hours in building backlinks. Where Should You Concentrate Then to Getting Ranked? The number one focus should always be to provide quality content for your visitors. Google wants to give the searchers the best resources where the people can benefit. If you are providing the best content out there you will very probably get ranked. Concentrate on building your website and service better. We still shouldn’t forget the importance of the targeted keywords. When You are using specific keywords people can more easily find your website and your quality content from the internet. Spend always some time on the keyword research to find the best keywords. As you are providing the best user experience for your readers and the customers the engagement is the vital part. Engagement, comments, and conversations will also help you to rank better. Google sees that your website is active and people are interested in its content when it gets higher and higher in the rankings. As Kyle stated, you shouldn’t be worrying about the backlinks. Instead, always think and reflect how to improve your website and take action. In the course of time, your website will anyway get a lot of links from many different sites when people find your valuable content. They share your website in the social media circles and on their own websites. Provide something useful and the people will come. Are Backlinks Bad? Yes if you spend your time on them. If they come naturally just let them come but don’t waste your time building the backlinks. I hope this text will save your time about the worrying of the backlinks and you find this information useful. What are your experiences with the backlinks? How have you got ranked in Google? Learn 5 simple steps and become successful with the keywords. I am going to explain the simple and effective process what I use myself in order to find powerful keywords to get ranked. You can use the same process in your keyword research or you can just take some ideas from my process and apply them in your own work. First of all, I log in to my account. If you don’t have your own account, you can create it for free. Once I have logged in I can go straight to the keyword tool. Wealthy Affiliate provides a lot of useful tools including the keyword tool. Their keyword tool shows the accurate traffic, competition and some other things related to the keywords. But I’m mostly interested in the traffic and the competition because they are two the most important factors in choosing the right keyword. I click the keyword tool on the left menu and start searching. Then I usually have in mind what kind of subject you are going to write about. 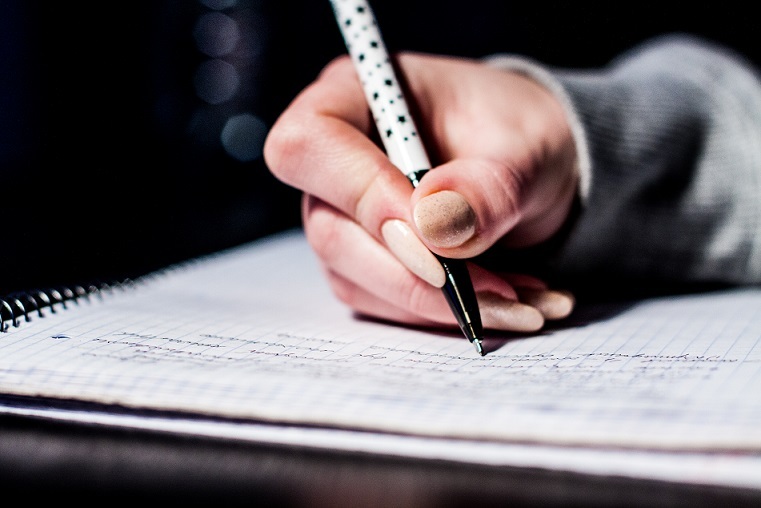 You can also use many kinds of techniques to get some inspiration for writing. Write your possible keyword and BANG! The keyword tool shows you if the keyword is good or not. If the traffic is less than 50 searches per month, I recommend searching for the other keywords because most of the time you can find the better ones. If the traffic is too little you will hardly get any new visitors to your website. I recommend you to find the keywords where the traffic is more than 50. But sometimes 30 or even 20 can be okay if the competition is very low. Let’s take for example the keyword of this post. I planned to write something about the process how do I find keywords and teach you to do the same. I found the keyword “How Do I Find Keywords for My Website”. That sounds logical so then I started to analyze the competition and the traffic. Check the competition. Click the results. You can see in the picture that the keyword gets only 32 searches per month so I wasn’t very interested before I saw the competition. When the traffic was 32 and the competition only 15 I decided to choose How Do I Find Keywords for My Website as a keyword of my post. It didn’t take a lot of time to find this one. Then I decided to make the video of my keyword research and I found out the better keyword with 56 monthly searches and the competition only 10. See the video below where I explain my keyword research and how I ended up changing the keyword of this post. Then after choosing my keyword I use it in the title and in the first paragraph of my article. Then I write the rest of the text naturally. Usually, I happen to use the keyword in the text afterwards when I just write naturally but I don’t concentrate on it too much. Placing your keyword in the title and in the first paragraph is enough. The most important thing is not to put a lot of keywords in your text but to provide the best experience for the reader. Remember that you are providing content for the real people who are searching something from the Internet. You are not writing for the bot, you are writing for the human. Finding great keywords will become your second nature as you keep providing quality content and building your online business. In the beginning, it may take some time but when you get used to it, the process becomes faster and faster. 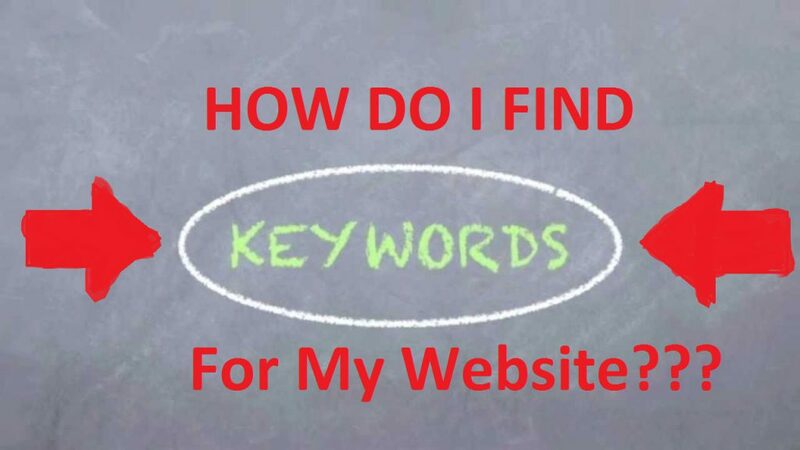 I hope this short tutorial helps you to find the best keywords for your website. Feel free to ask questions and leave comments below! Which keyword tools do you use? Jaaxy, Wealthy Affiliate’s keyword tool or something else? Do your work, This guy is watching! Have you ever felt unmotivated to start your work and get it done? Have you ever thought how to motivate yourself to work? Don’t worry probably all of us feel it sometimes. But the difference between the winners and the losers is how they react to that feeling. The losers will give the feeling win. The winners can change their feeling and after 5 minutes they will feel motivated to work again. How do they do it? I have a trick for you. After reading this text you don’t need to wonder anymore how to motivate to work. When you feel the unwillingness to work what do you usually do? Do you scroll Facebook’s news feed? Do you play something TOTALLY USELESS with your phone? Do you organize your papers? Do you read blogs on the Internet? Notice one thing: Usually, you are doing something. You are doing something that you shouldn’t. You are doing something that seems useful but still it’s not the work that you should be doing. I want to mention that this exercise is highly effective if you do it well. The point is that you don’t give yourself an alternative to doing something that would feel somehow useful. Don’t start to read the newspaper when you are doing the exercise. Don’t start to plan your weekend. The idea is not to do anything. If you are a human being, homo sapiens, sooner or later you want to choose the alternative number 2, working. Some people fail because they give themselves more options. They give themselves the option number 3: do something useless that feels somehow useful. 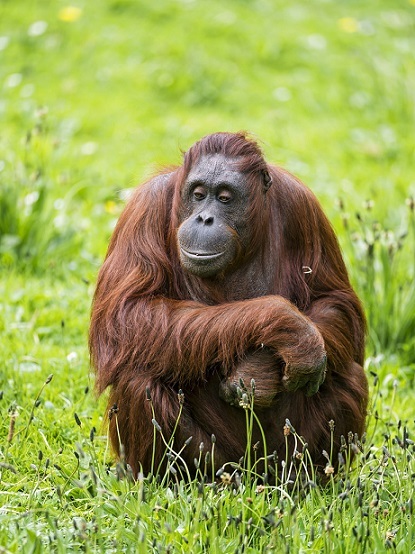 Sit down like this orangutan and don’t do anything. After a little while working seems so interesting. Step 3 Don’t to anything. If you feel like taking your phone, don’t do it. Just sit. Do it for 5 minutes. I mean don’t do anything for 5 minutes. Just sit with your brain OFF-mode. Sooner or later you will feel so bored that working starts to feel very interesting option. Before the exercise, you can put the 5-minute timer. Start working right away when you feel like it again. Most of the time you don’t want to sit there and wait for 5 minutes because it feels like a long time if you are not doing anything. In my opinion, motivational techniques can be very useful if you are building your own online business and being your own boss. This awesome tip was found on one great article where you will find 5 ways to motivate yourself to do work. I’m willing to hear your experiences after doing the exercise. What did you think about the other 4 ways to motivate yourself to work?